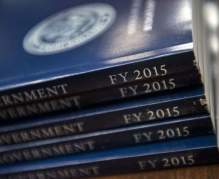 As this thorough study discusses, Congress’s budgetary process is outdated, encourages runaway entitlement spending, and needs to be revamped. The Congressional Budget and Impoundment Control Act may be the most important piece of budget process legislation ever enacted in the United States. Yet its essential rules and procedures, adopted 40 years ago, are no longer adequate to meet the most pressing fiscal challenge facing the nation: the rapid rise in spending for federal entitlement programs. Indeed, the current budget process allows the welfare state to continue expanding, putting increasing pressure on other portions of the federal budget. The government is already expected to rack up $7.6 trillion in new borrowing over the next 10 years and to drive its publicly held debt to the size of the entire economy in about two decades. Reforming the congressional budget process is no substitute for actual policy changes that can correct the government’s fiscal problems. Yet according to a new study published by the Mercatus Center at George Mason University, the right kinds of process reforms can open up new potential for agreement between Congress and the president and can focus attention on long-term spending commitments. Our deficit has dipped some—but it’s still over half a trillion dollars, our 14-digit debt is still growing, and our long-term fiscal challenges are still the same. While enjoying their new majority status in the Senate, Republicans are shying away from tackling the big issues of the day.